ZSL Whipsnade Zoo’s brand new Centre for Elephant Care was given the royal seal of approval today (Tuesday 11 April) as HM The Queen, accompanied by HRH The Duke of Edinburgh, officially unveiled the elephants’ £2m home. Set amidst 30 acres of rolling paddocks, the custom-designed Centre for Elephant Care is the new home for the Zoo’s herd of nine Asian elephants. Highlighting ZSL Whipsnade Zoo’s elephant-expertise, the Centre provides more than 700m² of indoor space, and is fitted out with a host of elephant-friendly features, including one metre-deep soft sand flooring to provide maximum comfort and dimming lights to mimic night-time. Interactive displays will allow zoo visitors to try their hand at a jumbo pedicure, as they practise on a life-size model elephant foot, highlighting just some of the extraordinary one-on-one care given to the animals at Whipsnade. The latest addition to the herd is ten-month-old calf Elizabeth, who was named by zookeepers in honour of Her Majesty, as she was born the day before The Queen’s 90th birthday celebrations in 2016. The Queen, who is Patron of international conservation charity ZSL, which runs ZSL Whipsnade Zoo, enjoyed a private tour of the Centre where they met Assistant Curator of Elephants, Lee Sambrook and watched the elephants receive a pedicure. HM The Queen, accompanied by The Duke– former president of ZSL – then unveiled a commemorative plaque commemorating the event, during a special ceremony where Her Majesty and His Royal Highness each fed Donna the elephant a banana. Asian elephants (Elephas maximus) are classified as endangered on the IUCN Red List of Threatened Species, and due to habitat loss, human conflict and poaching their wild populations are in decline. 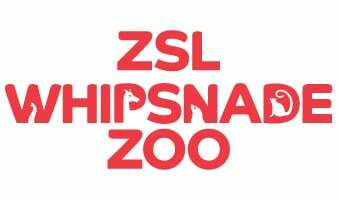 The species are also listed on ZSL’s EDGE (Evolutionarily Distinct and Globally Endangered) list, meaning there is a particularly urgent need for conservation action. ZSL is working in Thailand – a major stronghold for Asian elephants – to reduce human-wildlife conflict and ensure the peaceful coexistence of elephants and humans. Visitors to ZSL Whipsnade Zoo will be able to view the herd in their new home when the Centre for Elephant Care opens to the public on Wednesday 12 April, 2017.